The Town Hall employee at the heart of a union campaign alleging a pattern of discrimination and bullying within Hackney Council has had her dismissal upheld at appeal. 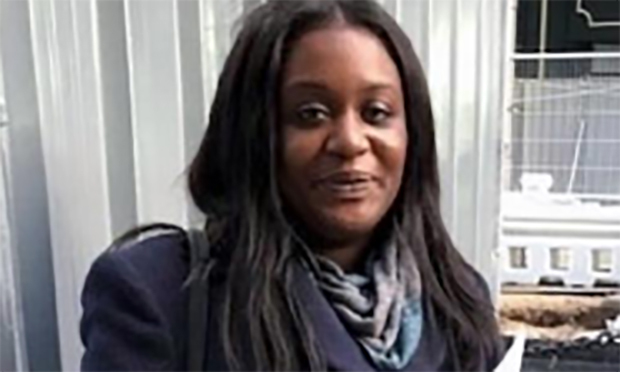 Natasha Johnson, Unite’s branch equalities officer, was dismissed in October following her complaints of discrimination whilst working for the local authority. Unite claims that Johnson’s dismissal and the manner of it are symptomatic of a wider problem with the Town Hall’s working culture, slamming the allegations used to justify terminating her employment as “ridiculous”. Onay Kasab, regional officer for Unite, said it was the first time in his career he had encountered the sorts of allegations used to justify Johnson’s dismissal, and related his “shock” that it had occurred. Kasab said: “The fact that the local authority is willing to dismiss someone based on these specific allegations speaks volumes. “The only message can be that if you come forward and make well-founded allegations that you can evidence with trade union support, you can face victimisation including dismissal. “It makes the council’s policies and statements sound tokenistic at best. “It stinks of the council making a decision – they’re going to get rid of Natasha regardless, as a way of sorting out the problem in the call centre where she works. “There’s no way of getting around it – trust and confidence has broken down and there is an issue. “We will obviously be lodging a case at employment tribunal, but we will consult our wider membership in Hackney about what form of industrial action they are willing to take in defence of Natasha. “What’s happened here has tested Hackney, and they’ve been found sadly wanting. “I don’t have huge confidence in the council because of what they’ve done to Natasha. Kasab added that Unite is also considering putting together a London-wide meeting for local government representatives to discuss forming a wider campaign around the issues. Unite’s campaign is also endorsed and supported by UNISON and the GMB. However, the Town Hall made counter-allegations of its own, claiming that Johnson was herself creating a “hostile and intimidating environment” for managers. Johnson was also accused of “challenging managers in an attempt to trip them up, unneccessarily copying managers and trade union reps into emails”, as well as failing to positively work with or discuss performance issues with managers. Johnson and Unite continue to challenge the allegations, claiming that the evidence brought forward in support of them was “discredited” at appeal. Notice of an independent review of working culture and practices in Johnson’s workplace was given to council employees on 14 December, following an 18-page report claiming abusive comments and behaviour on the part of Town Hall staff being sent to Hackney councillors and union members. Unite state that they “welcome” the investigation with the intention of engaging fully with it, but continue to support Johnson’s case in order that she not become “collateral damage”. Tim Shields, chief executive of Hackney Council, said: “The decision to uphold the outcome of the original disciplinary hearing was made following an appeal hearing in December. “This was held in accordance with the council’s disciplinary policy and procedure. “There is an ongoing independent investigation into allegations of bullying and harassment in one area of the council, supported by the unions, which will report back in due course. “However, we strongly refute general allegations of a culture of bullying and racism at the council.